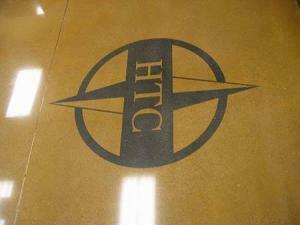 At Safe Dry Terrazzo Restoration we have honed our concrete polishing to an art. 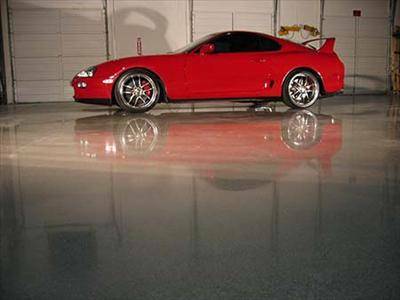 Whether you need a satin finish or a high gloss shine we have the products and the machines to do the job right. 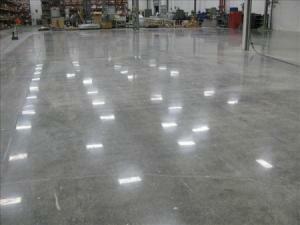 Polished concrete is the wave of the future do to its low maintenance cost and green flooring status. 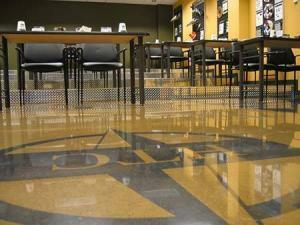 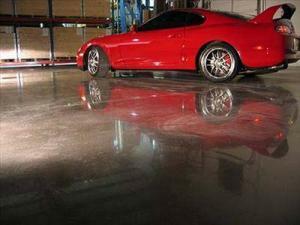 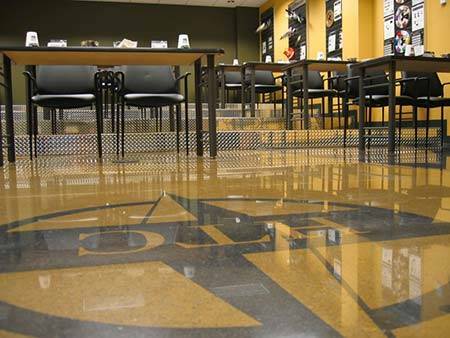 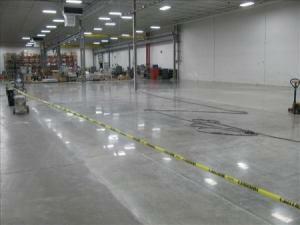 Polished concrete can be maintained with water using no chemicals. 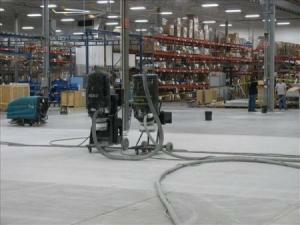 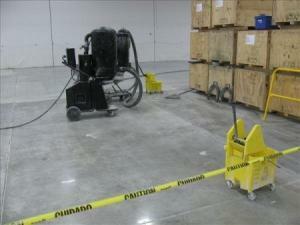 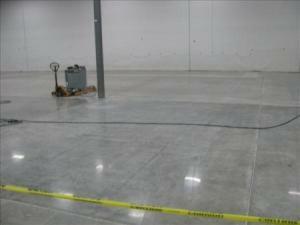 At Safe Dry Terrazzo Restoration we will work hard to meet your every industrial and residential need. 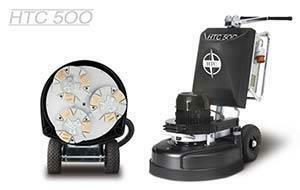 We are Retro Plate certified installers and have the training and experience to get the job done right. Give us a call today and set up an on-site inspection and demo. 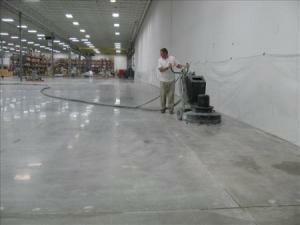 We also do Floor PREP. 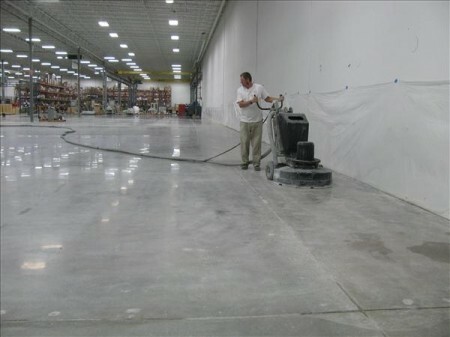 We can remove coatings coverings and leave your floor ready for any installation. 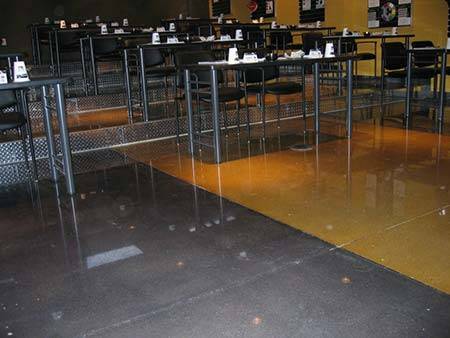 Safe Dry Terrazzo Restoration can also apply many different coating to your floor, including epoxies with fillers like quartz or flakes. 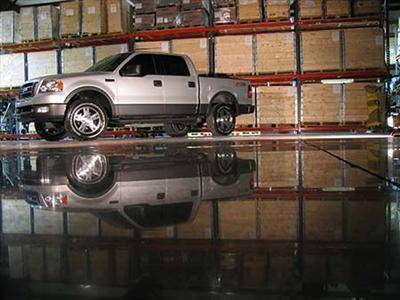 Flooring systems used on industrial, commercial, and residential floors should provide a safe walking surface in both wet and dry conditions. By measuring the coefficient of friction (COF), a quantitative number can be used to express the degree of slip resistance of a floor surface. When the coefficient of friction is measured from a resting position, it is called the “static coefficient of friction” (SCOF). When it is measured when the surfaces are in relative motion, it is called the “dynamic coefficient of friction”. 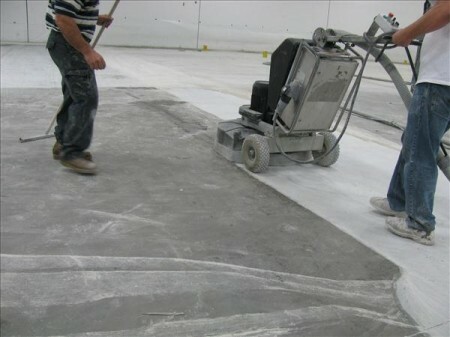 Measuring the dynamic COF is difficult and requires a strict laboratory environment for accurate results. 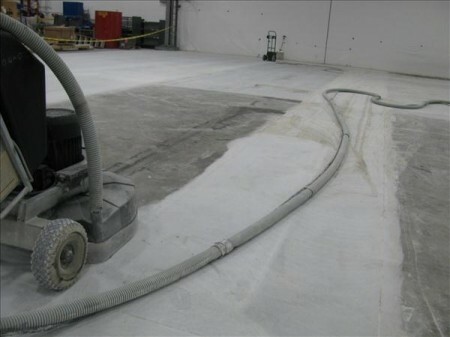 The James Machine would be used in this situation under the ASTM D-2047 standard. 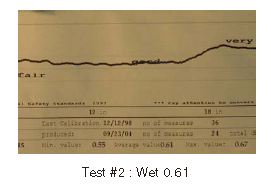 Almost all portable and laboratory meters measure only the static COF and most measuring devices (slip meters) refer to static COF based off the ASTM C1028 standard. 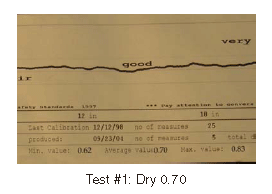 The Sellmeier slip test meter measures both Static and Dynamic coefficient and provides a digital printout and audit trail. 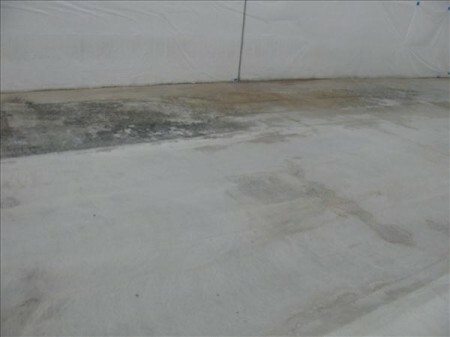 The higher the SCOF, the less slippery the surface. It is possible to have too high a SCOF; the surface can be too slip resistant and difficult to walk on. 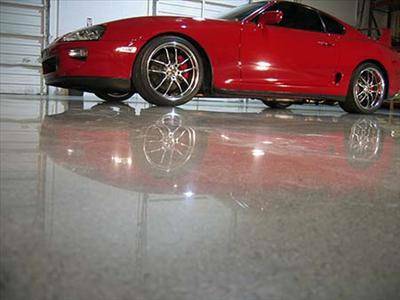 The American Society for Testing and Materials (ASTM) initially set a standard of 0.50 or higher for polished surfaces. Because the required friction for normal walking is significantly below that figure (as measured on the James Machine), a coefficient of 0.35 is sufficient. 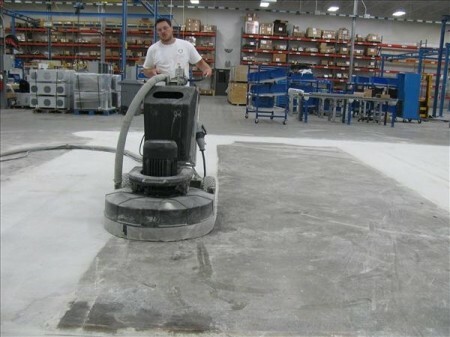 The Occupational Safety and Health Administration (OSHA) will only recommend that you try to achieve a 0.50 SCOF for flat surfaces. 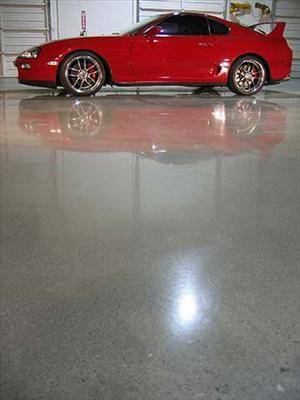 In short, there really is no set standard that anyone will stand behind. 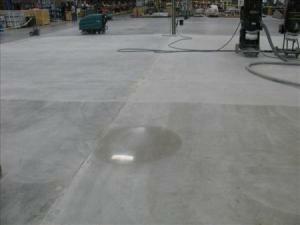 Plus, all of the standards were tested using natural stone and liquid impregnating protectants / coatings. So we have to group ourselves in with this category until they do testing for polished concrete. 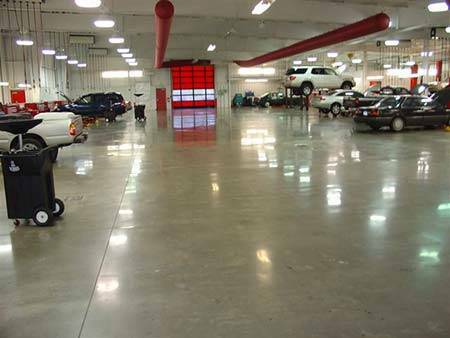 Safe Dry Terrazzo Restoration can also apply many different coatings to your floor, including epoxy’s with fillers like quartz or flakes.